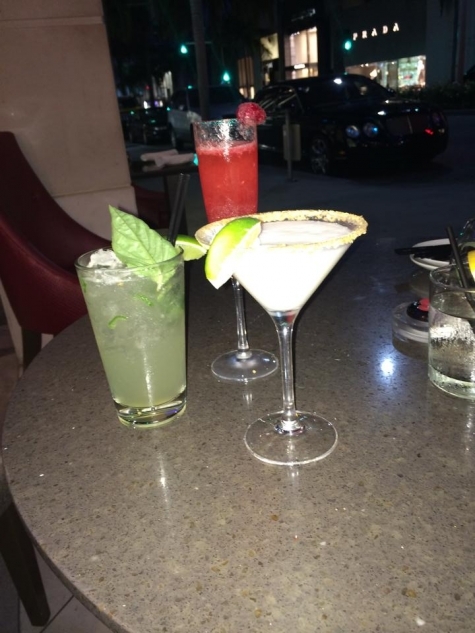 Last week I was invited to On Rodeo, the restaurant and lounge inside (and outside) the Luxe Hotel on Rodeo Drive in Beverly Hills. They are adding baked goods to their offerings and have wisely begun with a chocolate soufflé. I don’t typically attend events like this but I’ve had several lovely lunches at the Luxe Beverly Hills and my daughter is bugging me to have a sleepover (and possibly a Sweet 16) there so I figured I’d put on my best eating dress and head out for some soufflé before dinner at 5pm. We had passed appetizers, champagne and the soufflé along with an explanation of the sourcing of the chocolate and a reminder that Beverly Hills and Cannes are sister cities. I sort of paid attention but mostly I was enjoying the dessert. I enjoy the occasional sweet but given the option of cake or a cheese plate I’m pretty religiously going to choose savory over sweet so I was delighted to find that the soufflé was full of chocolate flavor and missing that overly sugary finish that too many desserts seem to have. Once you’ve had dessert you might as well stay for dinner. So I did. There were wine and tequila pairings and great company at the table so I instagrammed the meal because I wisely knew that I’d forget each and every thing. We started with roasted tomato soup which tasted like warm tomatoes from the garden. Next was Ahi Tuna with fresh citrus there was a white wine pairing that was delightful. Pan seared salmon on a bed of cauliflower with a sauce you don’t see. 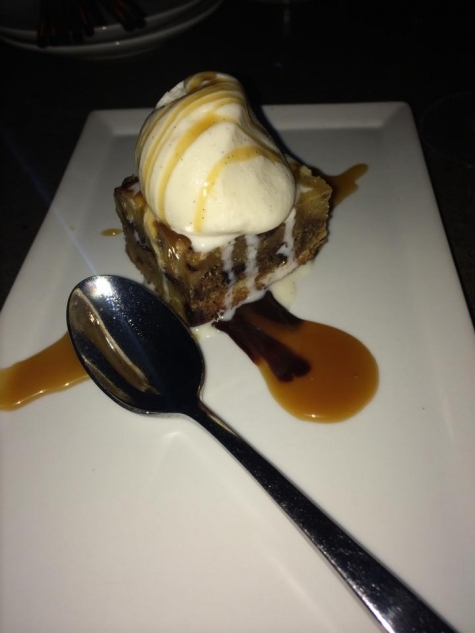 Our second dessert was bread pudding because everyone needs a second dessert when you’re on your fourth hour of dinner. And their dessert cocktails are spectacular. My favorite is the Key Lime Pie Martini. It’s delicious. If you’re looking to sit outside, to see and be seen be sure to request table 81. You’ll be smack dab in the center of Rodeo Drive. We ate and drank and laughed until 9.30. Just in time for a midnight snack, right? lovely lunch at the Beverly Hills Luxe and the choice of food in it. you have a great lunch, right?